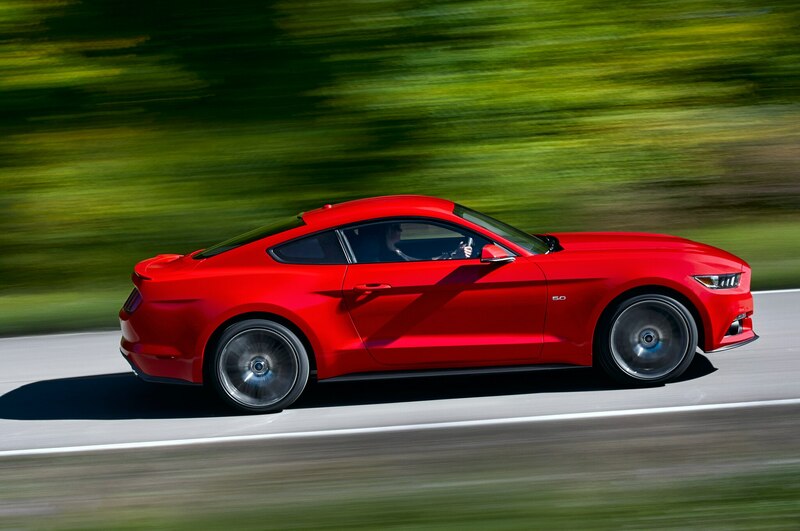 The Ford Mustang is no stranger to pace-car duty. 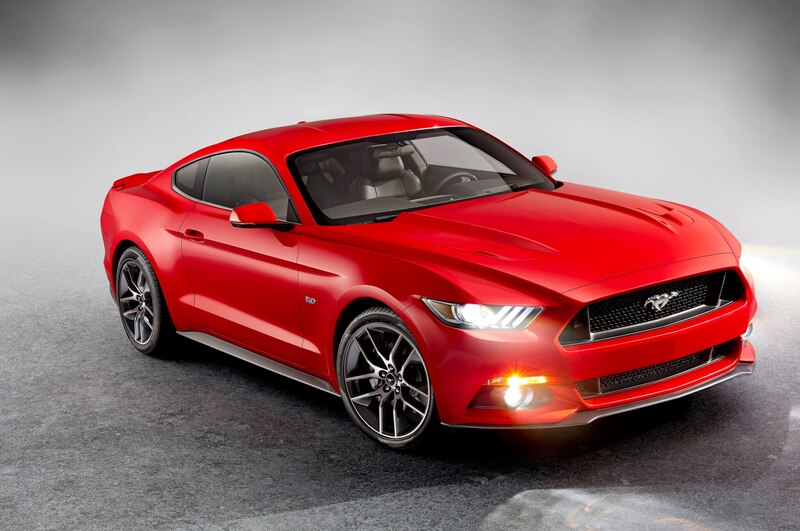 Now, the new, sixth-generation 2015 Ford Mustang will don its own pace car livery for the first time this weekend as it leads the way at the Quicken Loans 400 NASCAR Sprint Cup race at Michigan International Speedway (MIS) on June 15. 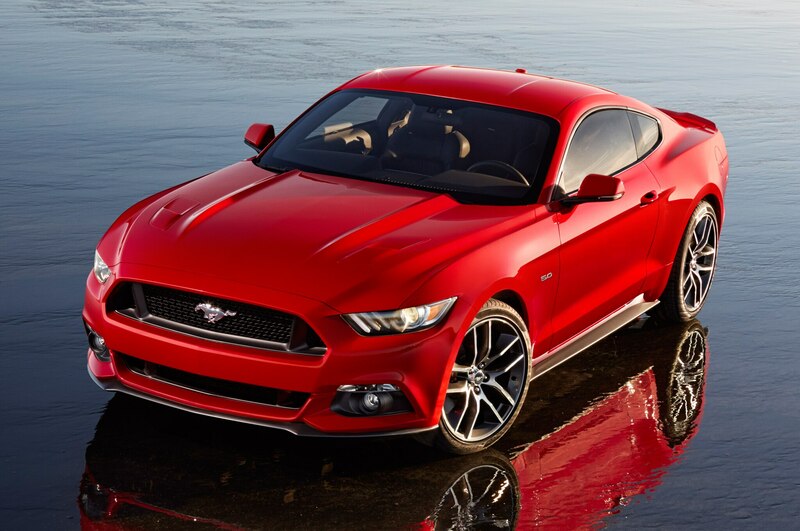 Behind the wheel of the red Mustang will be Ford President of the Americas Joe Hinrichs. 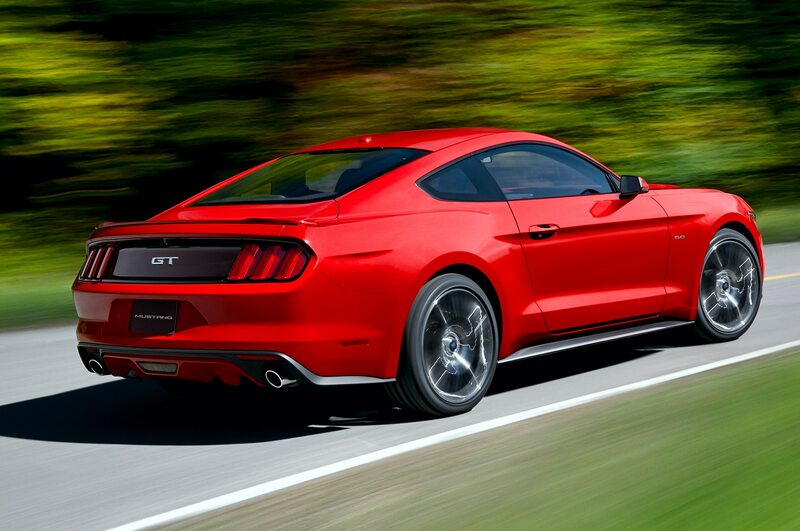 This 2015 Ford Mustang pace car is a coupe model outfitted in the car’s Race Red exterior color with white racing stripes running down the middle. 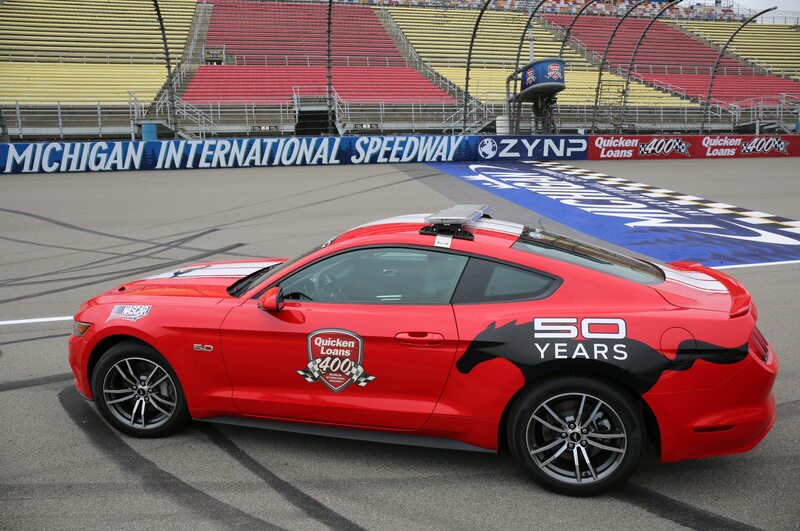 In addition to the light bar on top, the pace car has an assortment of extra graphics including the NASCAR decal, the Quicken Loans 400 logo, and a giant pony graphic commemorating the 50th Anniversary of the Ford Mustang. 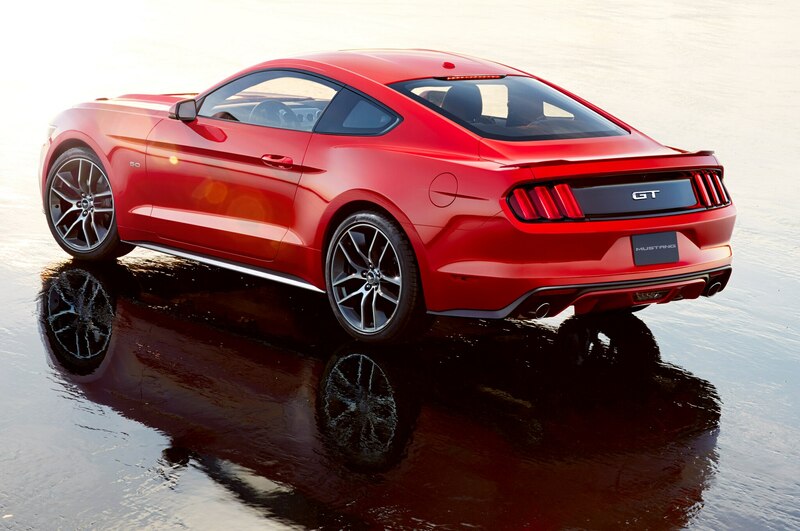 Although lots of attention is on the new 2.3-liter turbocharged EcoBoost four-cylinder in this generation of the Mustang, the pace car is a GT model with the full-bore, 420-hp 5.0-liter V-8 that should turn heads as it rumbles around the speedway in Brooklyn, Michigan. The Quicken Loans 400 is part of NASCAR’s Spring Cup series, and takes place over 200 laps on the two-mile oval at MIS. Although this will be the first time the 2015 Ford Mustang paces the field, various versions of the iconic pony car have served done the duty for countless races in the past like the Daytona 500 and many other NASCAR events. 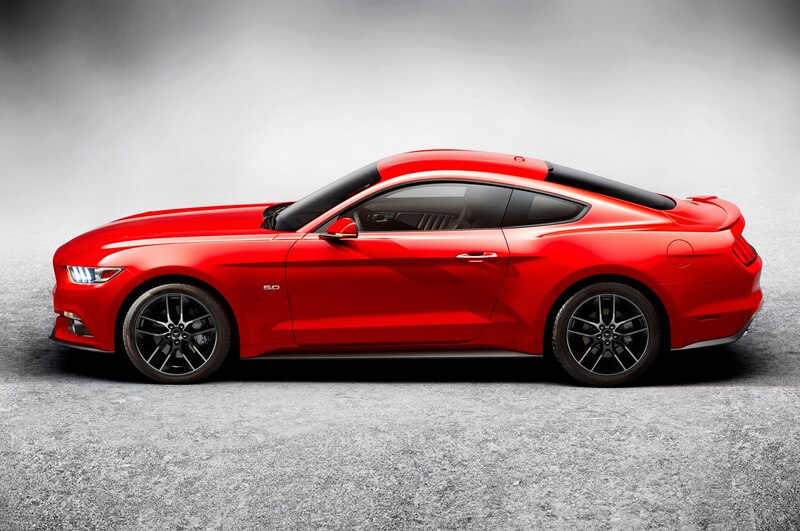 Tune in to the Quicken Loans 400 this Sunday to see Ford President of the Americas Joe Hinrichs behind the wheel of this red 2015 Ford Mustang pace car.